Jacob's Corner's simple elegance is a perfect backdrop for your special event. 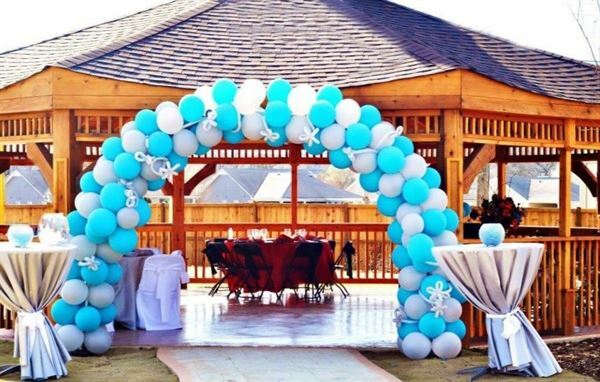 The stage is set for your event, whether you're having a wedding ceremony, reception, celebrating an anniversary, getting a year older, having a corporate meeting or just looking to get together with family and friends. Whatever the reason or the season, come celebrate with us! In the center of all the festivities is our exquisite gazebo which combines the rustic charm of cedar wood with the intricate details of a Japanese pagoda. This elegant design is exceptional with a three tiered roof, and decorative finished posts. Ideal for weddings, celebrations, and photo opportunities.